Accidents are the most unpleasant event which can put you in both mental and financial trauma. That why it’s important to be insured while driving on road. Knowing what you are covered for and choosing the right type of insurance gives you peace of mind. When it comes to buying car insurance, many people get juggled between what to choose- third party insurance or comprehensive plan. Third party Vs Comprehensive Car Insurance Plans: Let’s first understand the difference to see which one scores the more! As the name implies, third party car insurance provides coverage for any damage to property, bodily injury and death of the third party occurred due to an accident caused by your four wheeler. Policy protects you by covering the legal liability. It is basic car insurance and a mandatory requirement as per the Motor Vehicle Act, 1988. 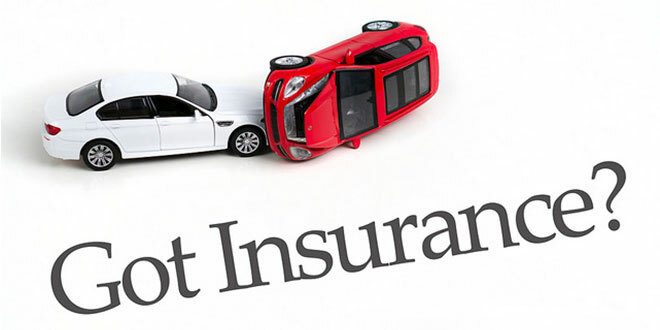 It is also a part of main car insurance policy or a comprehensive policy as it is a legal mandate in India. Standalone third party insurance policy makes more sense if your car is an older and lower-priced model. Comprehensive car insurance offers extensive protection by covering you and your vehicle. Comprehensive policy covers both ‘damage to third party’ as well as ‘own damage’. Own damage includes any damage or loss to your vehicle and personal accidental cover for yourself. Apart from accidental damages it also covers the loss caused by man-made calamities and natural calamities. Personal accidental cover provides medical protection for any injuries during an accident along with coverage for death. It’s a complete package that offers overall protection to you and your valued asset. Its recommended to go for wider coverage to remain stress-free. - Cover for your Four wheeler- accident and any other damage or loss caused by man-made reasons and natural calamities. -Medical protection for you in case of any injury during an accident. Personal accidental cover even includes compensation for death caused due to accident. -Damage/loss caused to own vehicle is not covered. -Damages caused by driver while driving under the influence of alcohol and drugs. -damages/loss caused by situations like war and nuclear risk, etc. Though third party car insurance is the most cost effective with lesser amount of premium, it gives very limited coverage. For the brand new and costly cars, it’s important to have the protection which third party insurance cannot offer. Repair costs can land you trouble if you do not opt for awider and adequate coverage. Third Party vs Comprehensive analysis is required to understand which policy to buy. To conclude, it’s always advisable to go with the wider coverage. Third party insurance provides only limited coverage; your valued asset is not covered under this type. Comprehensive plan comes with a full package which can set you free from any financial worries in case of unfortunate situation. Comprehensive coverage even applies to the situations where faults cannot be proved. It gives you that extra-level of protection. Hence, it makes more sense to go for comprehensive car insurance unless your car is very old and low-priced that needs no insurance.